Because of the way commercial fishermen and other seamen are paid, it is easy for employers to avoid paying them their fair share. You've worked hard on that ship to make a living and deserve to be paid fairly. If you believe your employer failed to pay you for work performed, you owe it to yourself to get in touch with a maritime lawyer committed to protecting the rights of seamen. At Seattle Maritime Attorneys, we have been handling cases in maritime law from Washington, Oregon and Alaska for more than 50 years combined. Having made a living as a merchant seaman before entering the legal field, one of our lawyers brings an insightful perspective to the practice of maritime law. We have built our practice on outstanding personal service and you should expect nothing less. 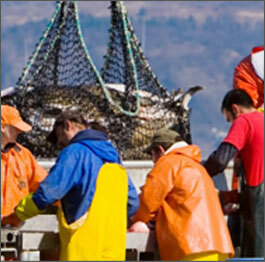 We are advocates for seamen at Seattle Maritime Attorneys. If you have been denied the wages you earned, call our Seattle office at 206.729.5252, our Bellevue office at 425.454.3800, or visit our contact page to schedule a free initial consultation with a maritime attorney. From the time the catch is sold, you sometimes only have six months to file your wage claim in court. If we are successful, you may be able to receive penalties on top of the wages that were wrongfully withheld from you. Whether you were tricked into signing a contract once the boat left for sea, were lied to about how much the fish sold for, or had an improper deduction from your wages, you have a right to be paid fairly. Get what you deserve. Contact us today for a free initial consultation.